Area: 118,484 sq. km. (45,747 sq. mi. ); land the size of Pennsylvania, with a lake the size of Vermont. Cities: Capital: Lilongwe. Other cities — Blantyre (the commercial capital), Zomba, Mzuzu. Nationality: Noun and adjective — Malawian(s). Annual population growth rate (2011): 2.8%. Education: Years compulsory: none. Enrollment (2010) — primary, 91%. Literacy — 74%. Health: Infant mortality rate (2011): 81 deaths/1,000 live births. Life expectancy at birth (2011 est.) — 52 years. Branches: Executive: president (chief of state and head of government), first and second vice presidents, cabinet. Legislative — unicameral National Assembly (193 members). Although the Malawian constitution provides for a Senate, in practice the legislative branch's upper house has never been called into session. Judicial — High Court, Supreme Court of Appeal, subordinate Magistrate Courts. Political parties: Democratic Progressive Party (DPP, ruling party), United Democratic Front (UDF), Malawi Congress Party (MCP), Alliance for Democracy (AFORD), Malawi Forum for Development (MAFUNDE), Maravi People's Party (MPP), New Rainbow Coalition (NARC), New Republican Party (NRP), People's Progressive Movement (PPM), People's Transformation Party (PETRA), Republican Party (RP), Congress for National Unity (CONU), and the People's Party. MCP and UDF are the two main opposition parties in parliament. 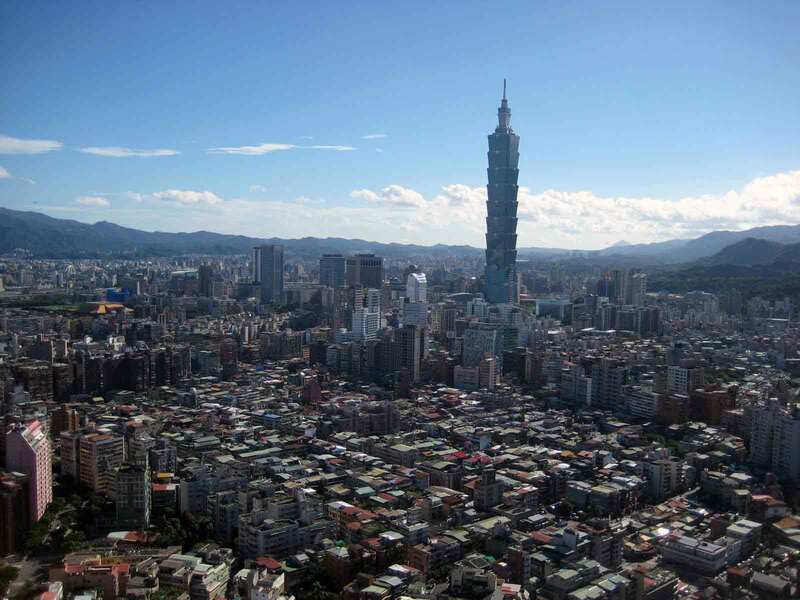 Central government budget (2011-2012): $2 billion (MK 304 billion). GDP (2011 est. ): $5.7 billion. Annual real GDP growth rate (2011): 4.6%. Per capita GNI (2010 est. ): Approx. $330. Avg. inflation rate (2011): 7.5%. Natural resources: Limestone, uranium, coal, bauxite, phosphates, graphite, granite, black granite, vermilite, aquamarine, tourmaline, rubies, sapphires, rare earths. Agriculture (approx. 31% of GDP): Products — tobacco, sugar, cotton, tea, corn, potatoes, cassava (tapioca), sorghum, coffee, rice, groundnuts. Arable land — 38%, of which 59% is cultivated. Industry (21% of GDP): Types: tea, tobacco, sugar, sawmill products, cement, uranium, and consumer goods. Trade (2009 est. ): Exports: $964 million: tobacco, tea, uranium, sugar, coffee, peanuts, wood products. Partners — U.S., U.K., South Africa, Zimbabwe, Germany, Egypt, Japan. Imports — $1.67 billion: food, petroleum products, semimanufactured goods, consumer goods, transportation equipment. Partners — South Africa, China, India, France, Zimbabwe, Japan, U.S., U.K., Germany. Malawi is one of sub-Saharan Africa's most densely populated countries. The population of Lilongwe — Malawi's capital since 1971 — of 674,000 makes it the largest city in the country (Malawi population and housing census). All government ministries and the parliament are located in Lilongwe. Blantyre remains Malawi's major commercial center with a population of 661,000. Malawi's president resides in Lilongwe. The Supreme Court is seated in Blantyre. 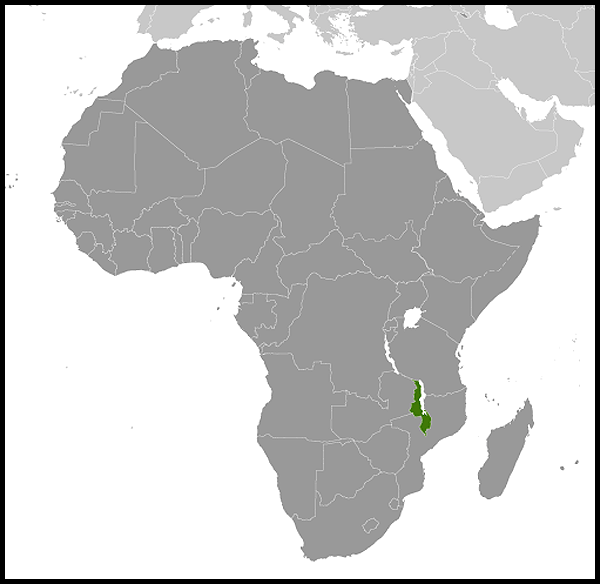 Malawi's climate is generally subtropical. A rainy season runs from November through April. There is little to no rainfall throughout most of the country from May to October. It is hot and humid from October to April along the lake and in the Lower Shire Valley. Lilongwe is also hot and humid during those months, albeit far less than in the south. The rest of the country is warm during those months. From June through August, the lake areas and far south are comfortably warm, but the rest of Malawi can be chilly at night, with temperatures ranging from 5o-14oC (41o-57oF). By AD 1500, the two divisions of the tribe had established a kingdom stretching from north of the present-day city of Nkhotakota to the Zambezi River in the south, and from Lake Malawi in the east to the Luangwa River in Zambia in the west. Migrations and tribal conflicts precluded the formation of a cohesive Malawian society until the turn of the 20th century. Although regional distinctions and rivalries persist, ethnic and tribal distinctions have diminished as the concept of a Malawian nationality has taken hold. Despite some clear differences, no significant friction currently exists between tribal groups. Predominately a rural people, Malawians are generally conservative and traditionally nonviolent. The Chewas constitute 90% of the population of the central region; the Nyanja tribe predominates in the south and the Tumbuka in the north. In addition, significant numbers of the Tongas live in the north; Ngonis — an offshoot of the Zulus who came from South Africa in the early 1800s — live in the lower northern and lower central regions; and the Yao, who are mostly Muslim, live along the southeastern border with Mozambique. Approximately 50% of the population lives in the southern region. In 1883, a consul of the British Government was accredited to the "Kings and Chiefs of Central Africa," and in 1891, the British established the Nyasaland Protectorate (Nyasa is the Yao word for "lake"). Although the British remained in control during the first half of the 1900s, this period was marked by a number of unsuccessful Malawian attempts to obtain independence. A growing European and U.S.-educated African elite became increasingly vocal and politically active — first through associations, and after 1944, through the Nyasaland African Congress (NAC). During the 1950s, pressure for independence increased when Nyasaland was joined with Northern and Southern Rhodesia in 1953 to form the Federation of Rhodesia and Nyasaland. In July 1958, Dr. Hastings Kamuzu Banda returned to the country after a long absence in the United States (where he had obtained his medical degree at Meharry Medical College in Nashville, Tennessee, in 1937), the United Kingdom (where he practiced medicine), and Ghana. He assumed leadership of the NAC, which later became the Malawi Congress Party (MCP). In 1959, Banda was sent to Gwelo Prison for his political activities but was released in 1960 to participate in a constitutional conference in London. Banda became Prime Minister on February 1, 1963, although the British still controlled Malawi's financial, security, and judicial systems. A new constitution took effect in May 1963, providing for virtually complete internal self-government. The Federation of Rhodesia and Nyasaland was dissolved on December 31, 1963, and Malawi became a fully independent member of the Commonwealth (formerly the British Commonwealth) on July 6, 1964. Two years later, Malawi adopted a new constitution and became a one-party state with Banda as its first president. In 1970 Banda was declared President for Life of the MCP. After fully consolidating his power, Banda was named President for Life of Malawi itself in 1971. The paramilitary wing of the MCP, the Young Pioneers, helped keep Malawi under authoritarian control until the 1990s. Increasing domestic unrest and pressure from Malawian churches and from the international community led to a referendum on the continuation of the one-party state. On June 14, 1993, the people of Malawi voted overwhelmingly in favor of multiparty democracy. Free and fair national elections were held on May 17, 1994. Bakili Muluzi, leader of the United Democratic Front (UDF), was elected President in 1994. The UDF won 82 of the 177 seats in the National Assembly and formed a coalition government with the Alliance for Democracy (AFORD). That coalition disbanded in June 1996, but some of its members remained in the government. The President was referred to as Dr. Muluzi, having received an honorary degree at Lincoln University in Missouri in 1995. Malawi's newly written constitution (1995) eliminated special powers previously reserved for the Malawi Congress Party. Accelerated economic liberalization and structural reform accompanied the political transition. When Malawi held its second democratic elections on June 15, 1999, Muluzi was reelected to serve a second 5-year term as President, despite an MCP-AFORD alliance that ran a joint slate against the UDF. Malawi underwent its first transition between democratically elected presidents in May 2004, when the UDF's presidential candidate Bingu wa Mutharika defeated MCP candidate John Tembo and Gwanda Chakuamba, who was backed by a grouping of opposition parties. European Union and Commonwealth observers said although the election passed peacefully, they were concerned about "serious inadequacies" in the poll. The UDF did not win a majority of seats in parliament, as it had done in 1994 and 1999 elections. Through the successful maneuvering of party chairperson and former President Muluzi, the party secured a majority by forming a "government of national unity" with several opposition parties. President Mutharika left the UDF on February 5, 2005, citing differences with the party leadership, particularly over his anti-corruption campaign. He formed the Democratic Progressive Party (DPP) shortly thereafter, attracting a number of UDF and independent members of parliament (MPs) to his new party. On May 19, 2009, President Mutharika was reelected to a second 5-year term, defeating MCP candidate Tembo. Former President Muluzi attempted to run as a candidate as well, but was barred by constitutional term limits. Mutharika's DPP won a majority in parliament, and the number of women in parliament increased from 25 to 40. The May 19 elections were marked by high voter turnout, and international and domestic observers agreed that the elections were generally free and fair. The Government of Malawi has been a multiparty democracy since 1994. Under the 1995 constitution, the president, who is both chief of state and head of the government, is chosen through universal direct suffrage every 5 years. Malawi has a vice president who is elected with the president. The president has the option of appointing a second vice president, who must be from a different party. The members of the presidentially appointed cabinet can be drawn from either within or outside of the legislature. Malawi's National Assembly has 193 seats, all directly elected to serve 5-year terms. The constitution also provides for a second house, a Senate of 80 seats, but to date no action has been taken to create the Senate. The Senate was intended to provide representation for traditional leaders and the different geographical districts, as well as various special interest groups, such as women, youth, and the disabled. The constitution provides for an independent judiciary. Malawi's judicial system, based on the English model, is made up of magisterial lower courts, a high court, a Supreme Court of Appeal, and a constitutional court. Local government is carried out in 28 districts within three regions administered by regional administrators and district commissioners who are appointed by the central government. Constitutionally mandated local elections are to be held 1 year after presidential and parliamentary elections. The first local elections in the multiparty era took place in on November 21, 2000, and the UDF party won 70% of the seats. The second round of local elections, originally scheduled for May 2005, were never held. Local elections were again scheduled for May 2010, but these elections have been indefinitely postponed as well. Malawi is a landlocked, densely populated country. Its economy is heavily dependent on agriculture, with tobacco, tea, and sugar as its most important export crops. Traditionally, Malawi has been self-sufficient in its staple food, maize (corn), and during the 1980s exported substantial quantities to its drought-stricken neighbors. Agriculture represents 31% of GDP and represents about 80% of all exports. Nearly 90% of the population engages in subsistence farming. Smallholder farmers produce a variety of crops, including maize, beans, rice, cassava, tobacco, and groundnuts (peanuts). The agricultural sector contributes approximately 64% to the total income for the rural population, 65% of manufacturing sector's raw materials, and approximately 87% of total employment. Financial wealth is generally concentrated in the hands of a small elite. Malawi's manufacturing industries are situated around the city of Blantyre. Recent years have seen increased activity in Malawi's historically undeveloped minerals sector. A major uranium mine that opened in 2009 in the north of the country is contributing significantly to export earnings and overall GDP. A full bankable feasibility study began in late 2009 on what is projected to be a similarly significant niobium deposit in central Malawi. Malawi's economic reliance on the export of agricultural commodities leaves it vulnerable to external shocks such as declining terms of trade and drought. Labor costs are low, but high transport costs, which can amount to 50% of the price of imports and exports, constitute an impediment to economic development and trade. A shortage of skilled labor; bureaucratic red tape; corruption; and inadequate and deteriorating transportation, electricity, water, and telecommunications infrastructure further hinder economic development in Malawi. However, recent government initiatives targeting improvements in the road infrastructure, together with private sector participation in telecommunications, have improved basic infrastructure. Malawi has undertaken economic structural adjustment programs supported by the World Bank, the International Monetary Fund (IMF), and other donors since 1981. Broad reform objectives include stimulation of private sector activity and participation through the elimination of price controls and industrial licensing, liberalization of trade and foreign exchange, rationalization of taxes, privatization of state-owned enterprises, and civil service reform. In August 2005 the IMF approved a Poverty Reduction and Growth Facility (PRGF) for Malawi. In August 2006 Malawi successfully reached the completion point under the Heavily Indebted Poor Countries (HIPC) Initiative, resulting in debt relief from multilateral and Paris Club creditors. Over $2 billion in debt has since been canceled, enabling the government to increase expenditures for development. Economic growth had been brisk, with real GDP rising by 7.6% in 2009 and 7.1% in 2010. Real GDP growth for 2011 was 4.6% (CIA World Factbook). The Economist Intelligence Unit (EIU) continues to downgrade forecasts of real GDP growth, from 5.3% for 2011 to 4.3% for 2012. Inflation has been largely under control since 2003, averaging 10% in that year and 7.4% in 2010. Discount and commercial lending rates have declined from 40%-45% in 2003 to 25.3% currently. After holding the Kwacha's rate against the dollar fixed for 5 years, since late 2009 the government has allowed some adjustment to the exchange rate. In December 2010 the Kwacha had depreciated to 150.8 to the U.S. dollar. In August 2011 the Kwacha depreciated to 165 to the U.S. dollar. The government is expected to allow further controlled depreciation in 2012. Fiscal management under the Mutharika administration has kept the macroeconomic environment relatively stable over the past 5 years. However, the lack of a competitive real exchange rate and resulting imbalances recently have caused a pronounced and chronic foreign exchange shortfall, leading to supply shortages of most imported goods (fuel, construction materials, and other raw materials not available in Malawi). The Kwacha is still generally considered to be overvalued, and with imports still heavily outweighing exports the country continues to suffer from a severe shortage of foreign exchange. Malawi has bilateral trade agreements with its two major trading partners, South Africa and Zimbabwe, both of which allow duty-free entry of Malawian products into their countries. Malawi is a member of two regional trade organizations, the Common Market for Eastern and Southern Africa (COMESA), and the Southern African Development Community (SADC). Malawi has continued the pro-Western foreign policy established by former President Banda. It maintains good diplomatic relations with principal Western countries. Malawi's close relations with South Africa throughout the apartheid era strained its relations with other African nations. Following the collapse of apartheid in 1994, Malawi developed, and currently maintains, diplomatic relations with all African countries. Recently Malawi's relationship with Mozambique has become strained. An impasse in 2010 over the use of the Zambezi River for waterborne trade and a stalled electrical grid interconnector agreement highlight the challenges inherent to this important relationship. Use of the rail line to Nacala in eastern Mozambique is limited by the poor condition of the track, old and inadequate rolling stock and engines, and inferior port facilities at Nacala. There has been a recent resurgence of interest in the development of the Nacala corridor. The Brazilian company Vale has invested in efforts to export coal from the Moatize/Tete region in western Mozambique through Malawi to Nacala. The Nacala corridor project involves mutual benefits to Mozambique and Malawi, and it could improve the strained relationship between the two countries and contribute to stronger regional economic integration. Important bilateral donors, in addition to the U.S., include Canada, Germany, Iceland, Ireland, Japan, the Netherlands, Norway, Sweden, and the United Kingdom. Multilateral donors include the World Bank, the IMF, the European Union, the African Development Bank, and United Nations organizations. Malawi continues to work to strengthen its relationships with other nations that are not historical bilateral donors. These nations include Cuba, India, Iran, and the People's Republic of China. Efforts at building these relationships have included high-level visits and the exchange of ambassadors. Malawi is a member of the following international organizations: UN and some of its specialized and related agencies (i.e., UNCTAD, UNESCO, UNIDO), IMF, World Bank, Multilateral Investment Guarantee Agency (MIGA), World Intellectual Property Organization (WIPO), Berne Convention, Universal Copyright Convention, African Union, Cotonou Agreement, African Development Bank (AFDB), Southern African Development Community (SADC), the Common Market for East and Southern Africa (COMESA), Nonaligned Movement, G-77, and the World Health Organization (WHO). The transition from a one-party state to a multi-party democracy significantly strengthened the already cordial bilateral relationship between the U.S. and Malawi. Significant numbers of Malawians study in the United States. The United States has a Peace Corps program, President's Emergency Plan for AIDS Relief (PEPFAR) program, and Millennium Challenge Corporation (MCC) program, as well as Centers for Disease Control and Prevention (CDC) and Agency for International Development (USAID (http://www.usaid.gov/locations/sub-saharan_africa/countries/malawi/) missions in Malawi. U.S. and Malawian views on the necessity of economic and political stability in southern Africa generally coincide. Through a pragmatic assessment of its own national interests and foreign policy objectives, Malawi advocates peaceful solutions to the region's problems through negotiation. Malawi works to achieve these objectives in the United Nations, African Union, COMESA, and SADC. Malawi was the first southern African nation to receive peacekeeping training under the U.S.-sponsored African Crisis Response Force Initiative (ACRI) and has joined ACRI's successor, the African Contingency Operations Training Assistance (ACOTA) program. The Malawi Defense Force (MDF) maintains an active slate of military-to-military engagement programs with the U.S. The two countries nurture a lively dialogue through resident diplomatic representatives and periodic visits by senior officials. The United States has a substantial foreign assistance program in Malawi. The U.S. Government provided approximately $145 million in development assistance to Malawi in FY 2010 under USAID's Country Strategic Plan (CSP). The primary focus of U.S. Government development assistance is to promote the social and economic development of Malawi, decrease the country's dependence on humanitarian assistance, and increase its ability to make positive contributions to the global community. U.S. Government cooperation revolves around five broad areas, including: health, education, economic growth, democracy and governance, and humanitarian assistance. USAID/Malawi works in partnership with the Government of Malawi, nongovernmental organizations, community-based groups, faith-based organizations, other U.S. Government agencies — including the Centers for Disease Control, Peace Corps, and the Millennium Challenge Corporation — foundations, and private companies. USAID's economic growth activities in Malawi aim to increase the productivity and competitiveness of the agricultural sector as the basis for broad-based economic growth. These efforts are intended to increase incomes and reduce food insecurity. Activities include provision of training and technical assistance to increase farmers' productivity, improving access to export markets and financial services for small and medium-sized businesses, acceleration of private sector development, and promotion of biodiversity. In the democracy and governance field, USAID support has focused on reducing corruption, improving fiscal management, supporting election processes, and strengthening the role of civil society. In 2011, USAID programs promoted good governance, rule of law, and political competition. Most of these activities build on the 2006-2008 Millennium Challenge Corporation Threshold Country Program, and were to be aligned with the MCC Compact signed in 2011. USAID programming also provided support to Malawi's efforts to combat trafficking in persons, money laundering, and gender bias. USAID supports a Financial Services Volunteer Corps (FSVC) program for Malawi's banking system. USAID health programs promote the health and well-being of Malawians through investing in strategic, high-quality health initiatives that support Malawi's health development goals. The programs aim to improve access to quality health care, encourage the development of strong health policies, planning, and management, and strengthen the overall health care system. Focus areas include malaria, HIV/AIDS, maternal and child health, tuberculosis, family planning and reproductive health, strengthening supply chain management, and strengthening the human resource base across the health sector. In the education sector, USAID-supported activities improve quality and access to basic education for thousands of Malawian children. Specific activities include teacher training and professional development, strengthening the role and participation of community groups in the education process, promoting nationwide interactive radio education, supporting decentralization in the education sector, and strengthening the government's ability to draft and adopt key policy reforms. In addition, USAID supports much of the analytical work that is used in national education sector planning documents and reforms. In the humanitarian assistance field, USAID provides Malawi with timely and accurate information on food security conditions in the country. The U.S. Government provides funding to address the underlying causes of hunger and works to improve the Government of Malawi's ability to respond to disasters. The United States is the largest contributor to the World Food Program (WFP) in Malawi, providing over $100 million in food and other emergency assistance through WFP since early 2002. USAID has coordinated requests to the U.S. Government for humanitarian assistance, and WFP has handled the logistics of import and distribution. The Department of Health and Human Services' (HHS) Centers for Disease Control and Prevention (CDC) operates two programs within Malawi: Global AIDS Program (GAP) and Malawi Malaria Program (MMP). The CDC GAP office started in November 2001 with an emphasis on establishing long-term working relationships with the Malawi Government, the National AIDS Commission (NAC), the Ministry of Health (MOH) and other institutions involved in the national response to HIV/AIDS. The major areas of focus include helping Malawi understand the burden of HIV infection and AIDS disease trends in the country, preventing new infections, caring for individuals with HIV infection and treating AIDS patients with Highly Active Anti Retroviral Treatment (HAART). CDC is using the GAP program not only to respond to HIV/AIDS, but also as a platform for rebuilding national capacities to improve health outcomes in general. The CDC MMP, funded by the President's Malaria Initiative (PMI), jointly administered by USAID and CDC, has evolved to provide more support to the national prevention and control program. CDC MMP has supported the work of the National Malaria Control Program in developing the country strategic plan for Roll Back Malaria (RBM), developing the national "Malaria Policy," developing guidelines for the management of the insecticide-treated net (ITN) program, and participating in other national program activities. The first Peace Corps volunteers arrived in Malawi in 1963. Under the conservative Banda regime, the program was suspended for several years due to the "nonconformist" role of some volunteers but was restored in 1978. Since that time, the program has developed a close working relationship with the Government of Malawi. In total, over 2,200 Americans have served as Peace Corps volunteers in Malawi. Currently, there are about 140 volunteers working in health (including HIV/AIDS), education, and environment programs. An interagency effort to implement the President's Emergency Plan for AIDS Relief (PEPFAR) began in 2006. Through 2010, Malawi had received more than $200 million in financial and technical resources from the United States. Programs supporting prevention, treatment, care, and support for the health system are implemented by USAID, HHS/CDC, Peace Corps, and the Department of Defense, with the Department of State serving in a coordinating role for the whole U.S. Government effort. In 2009, Malawi became the first nation to sign a PEPFAR Partnership Framework. This 5-year joint strategic plan for cooperation between the U.S. Government, the Government of Malawi, and other partners will combat HIV/AIDS in Malawi through service delivery, policy reform, and coordinated financial and in-kind commitments. In 2010, Malawi was selected to be one of eight new Global Health Initiative (GHI) Plus countries. Through GHI, PEPFAR will help Malawi improve health outcomes by integrating and coordinating health programs to promote a more sustainable system of care. Through the efforts of the PEPFAR program, Malawi reduced the risk of HIV transmission to more than 30,000 children born to HIV-positive women. Because of the program, 1.7 million Malawians now know their HIV status. As of June 2010, PEPFAR supported the Global Fund in the financing of anti-retroviral treatment for more than 225,000 people. New partnerships in 2012 will focus on healthcare workforce development, improvements in access to quality care including the integration of services for Antiretroviral Treatment (ART), Prevention of Mother-to-Child Transmission of HIV (PMTCT), and Maternal and Child Health (MCH) services to Malawian women, and maintaining a commitment to reducing the vulnerabilities of children. Energy is a major constraint to economic development in Malawi. With an installed capacity of only 286 MW and an electrification rate of approximately 9% (about 1% to 3% in rural areas), Malawi's power sector falls behind most of its peers in sub-Saharan Africa. In April 2011, the MCC and Malawi signed a $350.7 million Compact focused on revamping Malawi's inadequate and unreliable electrical power sector. The project would implement power sector reform and improvement, including electrical grid infrastructure development with a focus on promoting private sector investment in new power generation. The MCC estimates that the Compact Program would result in $3.1 billion in income benefit to Malawi over the next 25 years. MCC further estimates that 5.9 million Malawians would benefit from increased employment income and business profit during this period. In July 2011, the MCC placed an operational hold on the Compact due to concerns over negative trends in political and economic governance following violent demonstrations throughout Malawi on July 20 and 21. The U.S. Embassy (http://lilongwe.usembassy.gov/) in Malawi is situated in the diplomatic enclave adjacent to Lilongwe's City Center section. The address is American Embassy, P.O. Box 30016, Lilongwe 3, Malawi (tel. +265- (0)1 773 166/342/367; fax +265- (0)1 772-471).